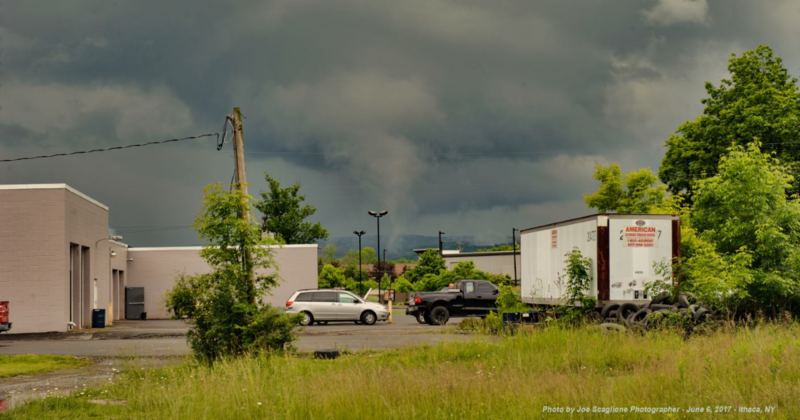 Was that a funnel cloud in Ithaca Tuesday afternoon? 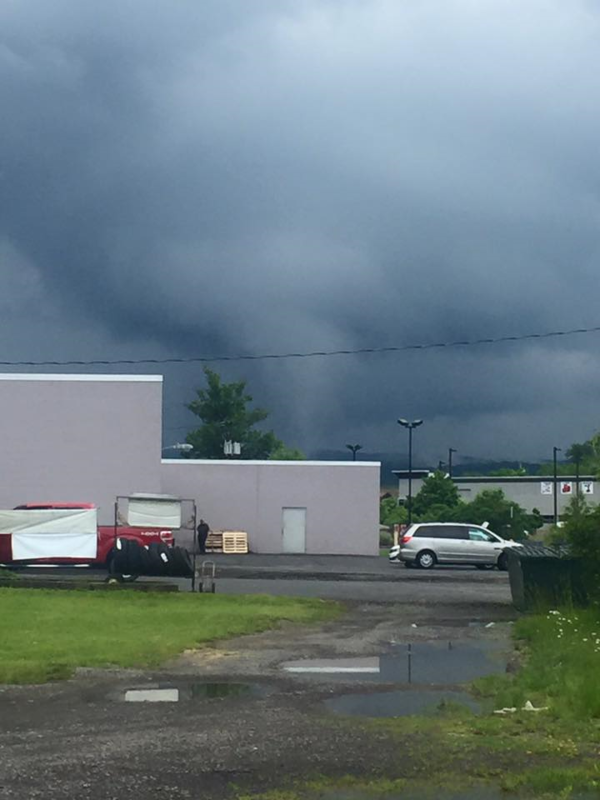 An apparent funnel cloud was spotted over Ithaca Tuesday afternoon. Photo by Joe Scaglione. 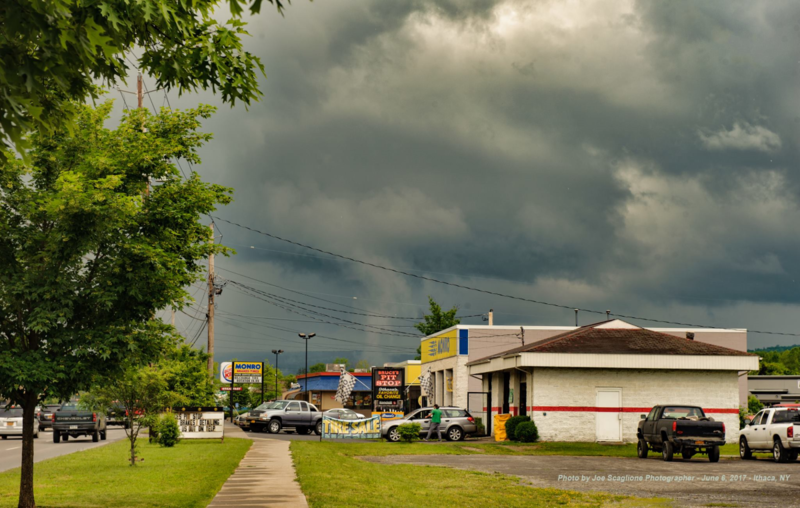 Photographer Joe Scaglione captured several pictures of what appears to be a funnel cloud over Ithaca Tuesday afternoon, June 6. This may have been a cold air funnel. 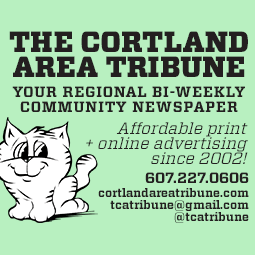 At approximately 2:33 pm Tuesday afternoon, what appeared to be a funnel cloud quickly developed and dissipated over the southern end of Ithaca. This phenomenon was captured by photographer Joe Scaglione, who posted it on his Icons of Ithaca NY Facebook group. I was sitting at Arby’s on Elmira road having lunch around 2:15 and was watching the sky to the south getting darker. About 15 mins later I saw the cloud drop so I ran out to my truck to get my nikon and snap it. It did not seem to last long and was only slightly rotating, but no wind, lightning and only a few drops of rain where I was. Kudos to Joe for his quick thinking and getting a few great shots of the cloud. But, was it a funnel cloud? Without a video, it is very hard to tell for sure what was going on. However, with these photos and Joe’s detailed description, I feel fairly comfortable saying that this was a cold air funnel. Cold air funnels are an uncommon, but not terribly rare phenomenon in the atmosphere. They most often form as cold air is entering into a region behind a front, but the atmosphere remains weakly unstable due to very cold air aloft. This afternoon at 2:30 pm, all of the conditions seem to have been in place for a favorable environment. The map shown here clearly shows a number of favorable factors in place. A sharp turn in the wind from east to northwest marked a cold front extending from Central New York south into eastern Pennsylvania. The low itself was located roughly over Chenango county at the time. 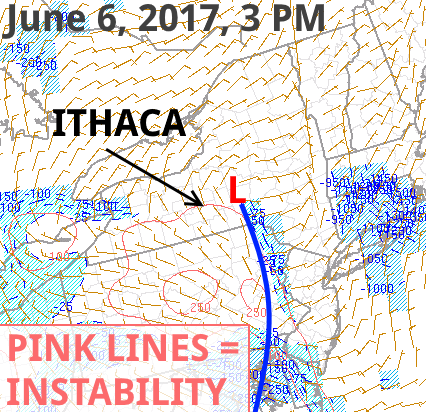 Some very limited surface-based instability was present, indicated by the pink lines. Instability is the energy that thunderstorms require to develop and, in this case, resulted in numerous small, but occasionally intense rain showers. Temperatures at the surface in Ithaca (as reported at the Game Farm Road Climate Station) were in the low 60s at the time, while temperatures about a mile above the surface were in the low 40s. This large temperature difference in the lower atmosphere, in addition to the spin of the nearby low and changing wind direction, is likely what caused this very brief spin up of a funnel. Cold air funnels do not often touch the ground, and when they do, they are usually very weak and short lived. Damage is rare, as these are not true tornadoes. This is not the first time a cold air funnel has happened in our region. Every fall, the Great Lakes spawn numerous cold air waterspouts as the cold autumn air rides over the still warm late waters. During my 4 years studying meteorology at Oswego, there were numerous times these waterspouts were spotted just offshore. I never seemed to catch them until late in October of my senior year after literally the entire meteorology department sprinted across campus to the shore of Lake Ontario to see three waterspouts simultaneously touch down. That is not the only documented case, however. 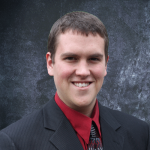 During the excessively frigid winter of 2014, a cold air funnel touched down on Cayuga Lake off of Lansing shortly after an arctic cold front moved through one January morning. 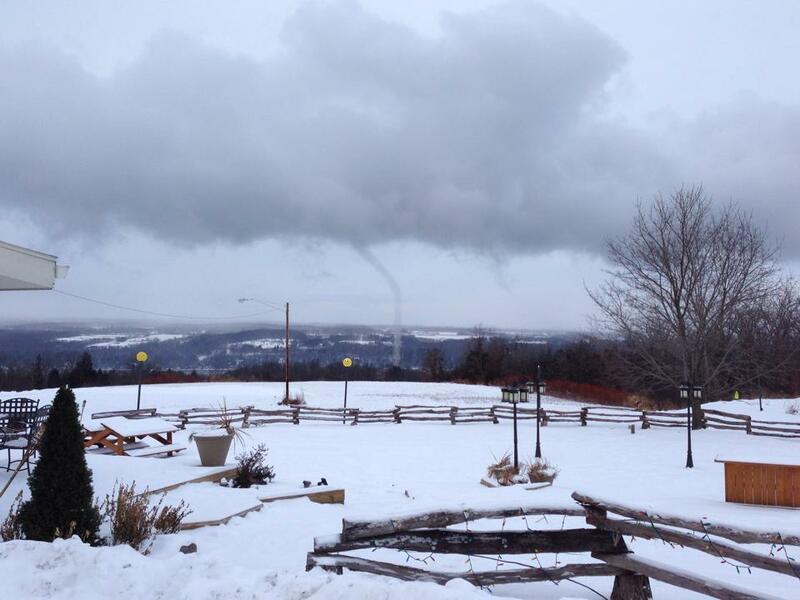 A cold air funnel on Cayuga Lake after the passage of an arctic cold front on the morning of January 20, 2014. Photo by Aaron Godert. The one concern I have with calling this a cold air funnel is that the funnel seems poorly attached to the cloud base. While there is certainly evidence of a connection to the cloud base, it is not as crisp and clean as, for example, the winter funnel above. If it was not a funnel, it would likely be a strip of scud cloud. Scud is formed by cool temperatures condensing the moisture in the air enough that a cloud forms. Scud are common on cool, damp days like today and also near thunderstorms. They are often rather scary looking, but are harmless. They are not rotating and are often not attached to the cloud base. However, with Joe’s description including some slight rotation and a good-enough connection to the cloud base, I do believe that this was more than mere scud and a cold air funnel. 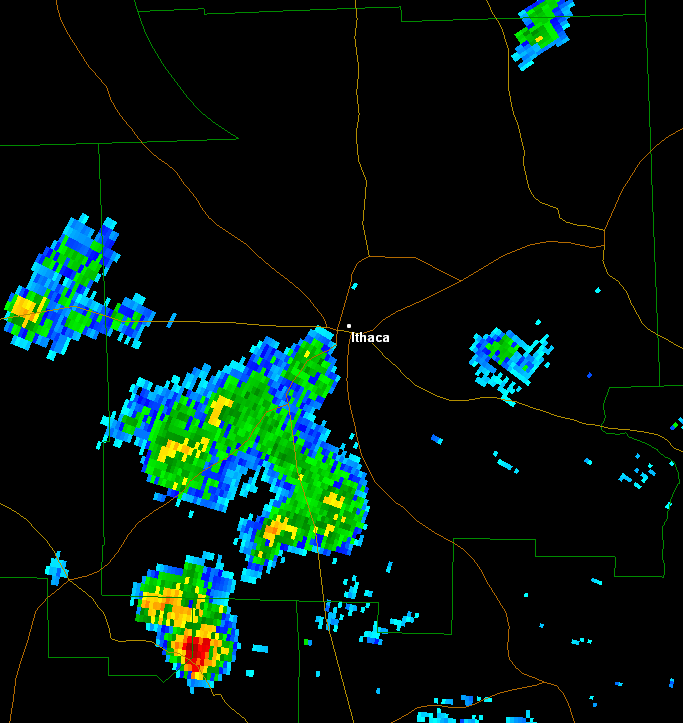 Here is a final look at the radar and the other pictures Joe took. Thank you Joe for sharing these photos! The radar over Tompkins County at 2:32 pm, one minute before the photographs, shows a classic instability shower just south of Ithaca- the perfect sort of cell to spawn a cold air funnel. Cold air funnel cloud over Ithaca, NY on June 6, 2017. Photo by Joe Scaglione. Photographer Joe Scaglione was in the right place at the right time to capture this photo of a short lived, weakly rotating cold air funnel over Ithaca on June 6, 2017. We were near Interlaken on the West side of Cayuga Lake and saw a similar cone which did not touch the ground. Having grown up in tornado country, we said if it was warmer we would have looked for shelter. Wow, not too scary looking, but definitely funnel shaped! Very cool! Thank you for your great explanation. Well, whatever it was, or wasn’t, it’s very dramatic looking.